Home SYL review Nikon D500 Review by sliceteam!!!!! Nikon D500 Review by sliceteam!!!!! Nikon announced the D500 at this year’s CES. This model is the long-awaited successor to the D300S, which was launched nearly seven years ago. Nikon has gone all-out this time, cramming in as many professional-level features as one could ask for in an advanced DSLR. In the market, Nikon’s flagship DX-format camera competes with Canon’s EOS 80D and even the EOS 7D Mark II, as they are all high-end APS-C cameras. But the D500 also has another contender from its own camp, the D750, which is priced similarly but packs in a full-frame sensor. So, can the D500 justify its premium pricing? Let’s find out. The body of the D500 looks imposing, and this camera is nearly as big as some full-frame DSLRs. It’s a bit on the heavier side too, as it weighs around 860 grams with the battery inside. However, the build quality is top-notch thanks to the use of magnesium alloy and carbon fibre, which are also used in Nikon’s full-frame D5 DSLR. The grip has been modified a bit to make it more ergonomic. During our review period, we found the D500 extremely comfortable to use. The body has dust- and water-resistant flaps for the ports on the side as well as the flash sync terminal and ten-pin remote terminal on the front. Starting from the back, you’ll notice that the button layout is very similar to that of the D750, but with added customisable shortcut buttons. There’s a flip-out 3.2-inch TFT LCD display with multi-touch support. You can tilt the display upwards but it cannot swivel all the way around. The D500 gets a multi-direction joystick just beside the speaker, and you also have a 8-way navigation pad with a focus-lock switch around it. There’s another selector switch at the bottom which lets you conveniently enter live view mode for stills and video. The viewfinder is one of the best we’ve come across. It offers a wide field of view, and the rounded eyepiece is comfortable when framing a shot. There’s also an eyepiece shutter which lets you stop unwanted light from coming in contact with the sensor when you’re shooting in live view. On the top, the mode dial is now used for switching between shutter release modes while the four buttons on top of it are used to select image quality, white balance, light metering mode, and shooting modes. The D500 lacks a built-in flash, which to be honest, we didn’t really miss much. You can of course add an external one using the hotshoe. There’s a smaller LCD on the right which shows you all your current settings. Just beside it, we have buttons for video recording, ISO, and exposure. The shutter release button is in its usual place at the tip of the hand grip, with the power switch around it. In the front, you have another function (Fn1) button and a preview (Pv) button. There’s a focus selector switch and a button for switching between focus modes (AF-S or AF-F) on the extreme left of the camera. On the left of the D500, we have a USB 3.0 port, 3.5mm headphone, and microphone sockets, and a Mini-HDMI port. There are two card slots on the right, for the SD and XQD formats. Our test unit came with an AF-S DX 16-80 f/2.8-4E ED VR lens, which Nikon India is bundling as the kit lens at Rs. 1,83,950 for the package. We also tested the camera with an 18-105 mm f/3.5-5.6G ED VR zoom lens and our trusty 35mm f/1.8G prime lens. You get a 64GB memory card and a bag along with the camera. 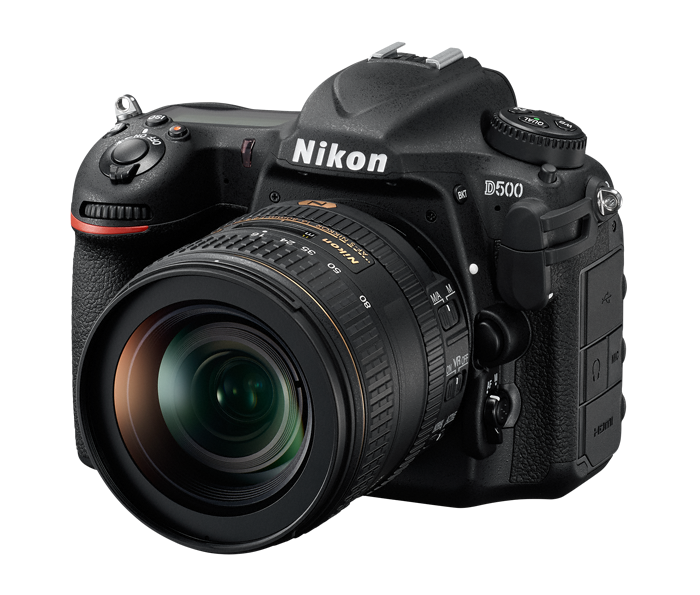 The D500 has a 20.9-megapixel APS-C CMOS sensor and is powered by Nikon’s new Expeed 5 image processor. It has a hybrid autofocus (AF) system, which ties in phase detection with the traditional contrast-driven AF system. You get a total of 153 focus points, of which 55 are selectable. ISO sensitivity ranges from 100 to 51,200 plus an extended range which goes into seven digits (Hi 5 or ISO 1,640,000). The Nikon D500 supports burst shooting at up to 10fps (in CH mode) for 14-bit RAW lossless compressed files, provided you are using an appropriate high-speed XQD memory card. You can take up to 200 shots before the buffer fills up, which is a huge improvement over previous models. Another notable addition is support for 4K video recording. The D500 lets you record in 4K at 30fps or 1080p at 60fps. However, there’s no higher framerate mode, even if you drop the resolution further down to 720p. The Nikon D500 supports Wi-Fi, Bluetooth, and NFC for pairing with a smartphone. The SnapBridge features lets you establish an always-on connection with the D500 so that files are automatically sent to your phone when they are saved to the memory card. 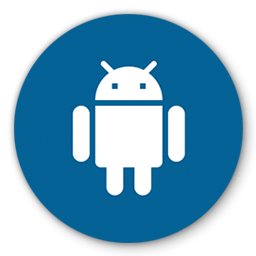 You can choose to either have a resized image (2-megapixel) or the original file sent to your device. The beauty of this is that it works even after the camera is switched off. For RAW files and videos, you’ll have to manually select them and transfer them over Wi-Fi, which makes sense. Remote shooting is also possible through the app but this functionality is limited. We begin with a studio ISO test to check how the camera handles noise at different ISO settings. This will also give us an indication of how well the sensor performs in low light, when the ISO typically needs to be bumped up the ISO for hand-held shots. We began directly at ISO 800 since there isn’t any perceptible difference between ISO 100 and this point. The D500 also has a Lo 1 setting, in case you wish to use an ISO level below 100. At ISO 1600, the camera holds off noise pretty well. At ISO 3200, there’s a perceptible loss in detail in the sharpened tips of the colour pencils. Despite this, there’s still barely any visible noise. At ISO 12,800, the D500 still does a commendable job. Details are a bit mushy and slight noise is present, but the image isn't too degraded. At the maximum ISO level, a bit of colour noise creeps in and you can see the orange pencil bleeding into the pink. Surprisingly, it’s still not terrible. Nikon boasts of the D500's expanded ISO range, but as you can see, images are heavily impacted so it’s best left unused. In daylight, the D500 manages detailed landscapes shots. Colour reproduction is fairly accurate and we didn’t see any glaring chromatic aberration. There’s no sign of barrel distortion either. For these daylight shots, we used the 18-105mm f/3.5-5.6G ED VR lens. It isn’t as sharp as the 16-80mm lens, which is why the pictures appear a tad soft if you zoom in all the way. The camera is great for burst shooting, and despite using a modest UHS-1 SD card for testing, we got good results. You can choose from different focus modes such as normal, wide, face priority, and subject tracking. The latter works well and the touchscreen makes it very easy to lock focus on your subject. In continuous AF mode, you have the option to select between 25-point, 72-point and 153-point focus. For video, continuous focus works pretty well with a prime lens (35mm f/1.8) as the focus shift is smooth and there’s no mechanical sound from the lens. The D500 fares well under ambient indoor lighting and in low-light situations too. With the right white balance setting, you can get some pretty dramatic shots with very little effort. The outdoor night shots below were taken with the 16-80 f/2.8-4 lens, which gives a wider field of view, making it ideal for street photography. Details stayed sharp and there was barely any noticeable noise in the images. There’s a retouch sub-menu in the camera which lets you trim videos, resize stills, correct red-eye, etc. The LCD display on the top is backlit, and toggling that also lights up the column of buttons on the left and the dial on the top. 4K videos look good, with no noticeable stutter when panning. Colours are also captured well. In-body stabilisation is sorely missed here so you need to have steady hands or a tripod if you’re shooting. You can enable electronic VR for video up to 1080p but not at 4K. The D500 also gets a video timelapse feature, which can be programmed from the settings menu. The bundled battery is rated at 1,240 shots per charge. During our test period, we managed to come close to this number, which is good. 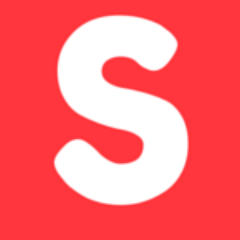 Keep in mind that with SnapBridge enabled, the battery will drain faster. The D500 is priced at Rs. 1,32,950 for just the body, which puts it in the same ballpark as the Canon 7D Mark II and Nikon’s very own D750. However, features like built-in Wi-Fi for SnapBridge, 4K video recording, and excellent burst shooting tilt the scales in the D500’s favour. The menu system could have benefited immensely from touchscreen navigation, and the extended ISO settings aren’t of much help in practice (as is often the case). A built-in flash would have been nice to have, although we can’t say we really missed it. We also expected better video features like high-framerate recording. It’s hard to fault the D500 as it’s an extremely capable camera for most situations. If you’re looking at an advanced DSLR but don’t want to spend a lot on a full-frame camera then the Nikon D500 offers most of the professional-level features and performance one would expect, at nearly half the price.